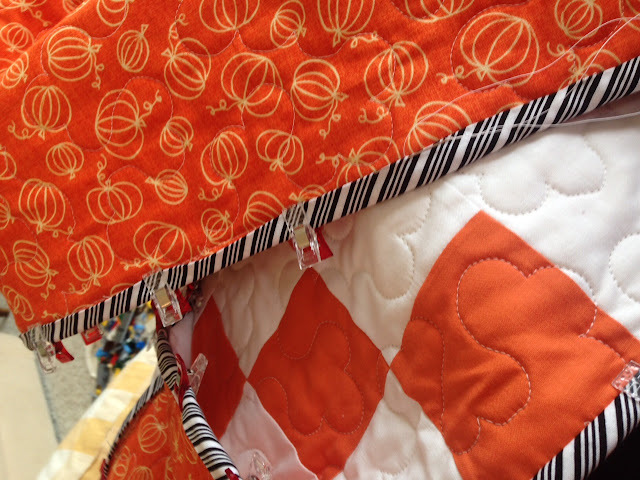 What do you think of this Halloween Quilt made by my friend Deb? I absolutely love it and wish I had made it myself because it would be adorning my house this very moment! The pattern for this quilt is found in the book "Simply Color: Orange - A Crayon Box for Quilters" by Vanessa Christenson. 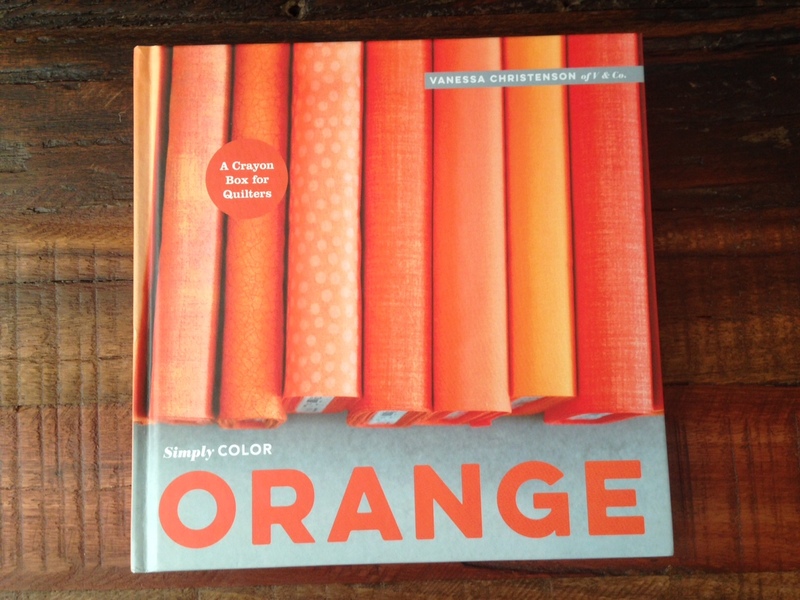 The Simply Color collection also features Red, Yellow, Green, and Blue books - I am thinking I need them all! What made this quilt so special for me is the fact that Deb changed the color of the stars to black, giving it a Halloween flair without needing to resort to the more common Halloween themes. Quilting was done by Melissa Kelly of Sew Shabby Quilting (I have seen Melissa's work on Deb's quilts and it is always wonderful!). Deb's choices for backing and binding fabrics complement her theme very well. Do you see now why I like this quilt so much? 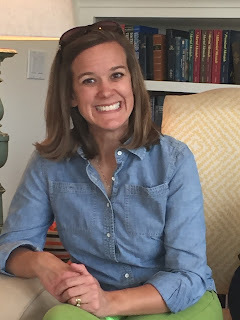 Deb is a very accomplished quilter - her work is the 'fabric version' of perfection. She has been quilting since her teenage years, now working to pass along her skills to the neighborhood girls and to her own. 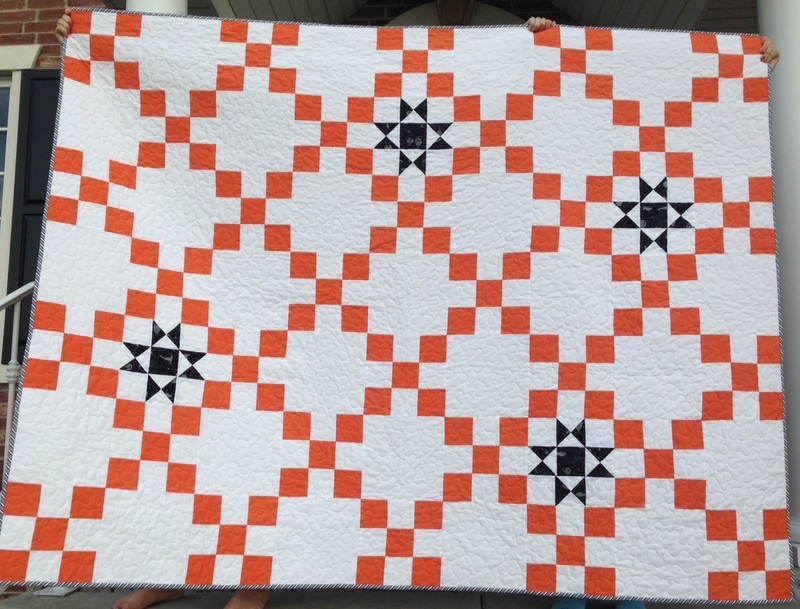 Deb has a keen eye for color combination and design - I am blessed to have her as a quilting friend, whom I can go to for opinion on my own projects or for just plain quilting fun time. Thanks, Deb, for letting me showcase your work. Happy Halloween to everyone! I love the quilt and the backing fabric is delightful. That is fabulous! Love that backing fabric too. lovel ove love this quilt!! !